It's from a noble lineage that our beloved canine companions descend, one they share with some of the most cunning and capable predators on the planet - animals whose remarkable instincts were forged over millennia in the fires of an eternal struggle for survival in the harshness of the wild. But you wouldn't always think that to watch them. Let's take a look at one such relative of coyotes and wolves - this dog, named Arne Doodle. 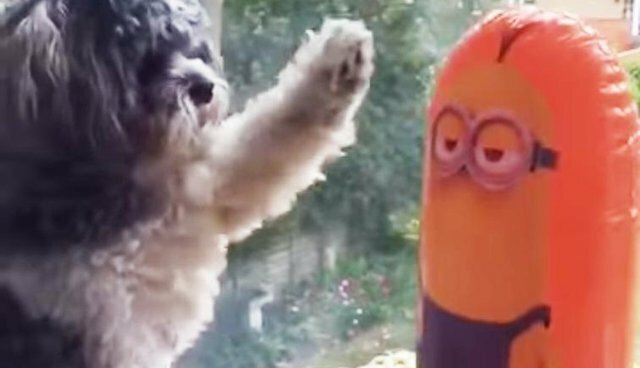 Here he is doing battle with an inflatable Minion doll. Hardly a challenging opponent, you say? Think again.